Dear Readers: I will be adding info soon about the birth data of the candidates. For now, here are links to all related articles about the incumbent, President Barack Obama, and about the past presidents. I present the chart of the inaugural of our first president also. 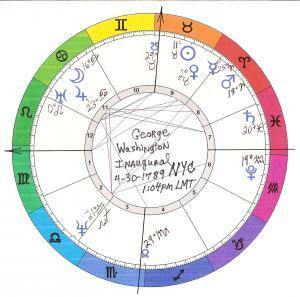 The Controversy of the Barack Obama Horoscope — What Time to Use? The chart for the inaugural of our first president serves as the template for all the presidents that followed in his footsteps. Check this chart against the birth charts of any or all the candidates to see who has the strongest connections to the presidency itself.